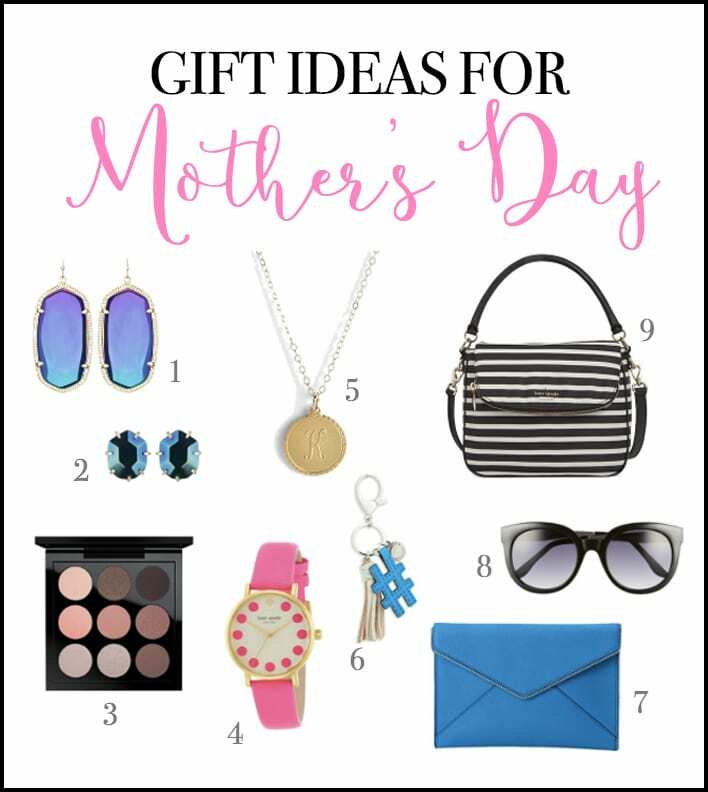 Mother’s Day is right around the corner, so I’ve taken the opportunity to round-up some great gift ideas for moms, especially those that are fashion-forward. All of these ideas are affordable and fit in a range of price points–those sunglasses are just $12! 1. 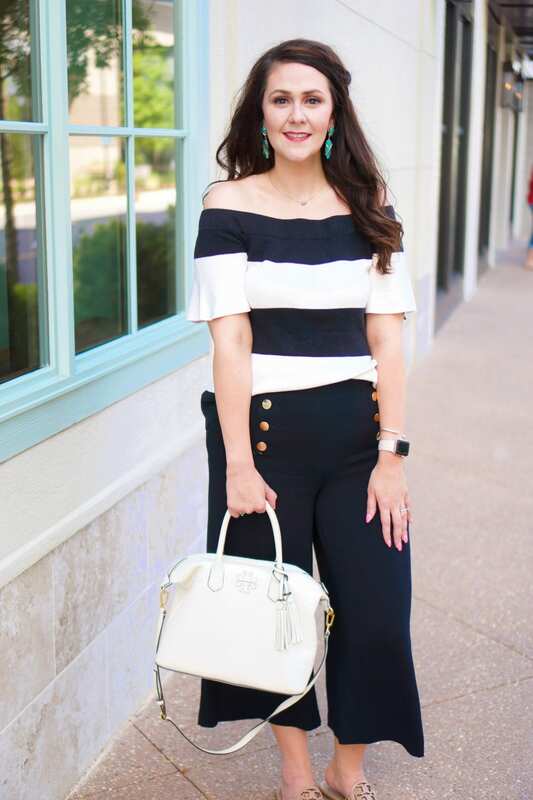 Kendra Scott Danielle Earrings (Neiman Marcus Last Call)– these earrings are a great statement piece of jewelry for mom! 2. Kendra Scott Morgan Studs (Neiman Marcus Last Call)–these earrings are so perfect for everyday wear! 3. MAC Cosmetics Dusky Rose Times Nine Eyeshadow Palette (Nordstrom)– I love these palettes, and they just dropped the price on them from $40 to $32. Now, they’re smaller than typical MAC eyeshadows, but I find that these shades are the perfect size. 4. Kate Spade Watch (Macy’s)–this is such a great watch for spring! That pink is just plain happy! 5. Moon and Lola Dalton Necklace (small) (Nordstrom)–this necklace is at the top of my wishlist. I want the K initial for Kane. 6. Rebecca Minkoff Hashtag Tassel Keychain (Nordstrom)–for the mom who loves Instagram or Twitter. The blue hashtag is such a cute touch. 7. Rebecca Minkoff Leo Clutch (6pm.com)–I need one of these in every color, stat! 8. BP Sunglasses (Nordstrom)–sunglasses can be outrageous. I love the BP brand because they’re very on trend without breaking the bank. 9. Kate Spade Handbag (Macy’s)–this handbag is perfect, because mom can carry it on her shoulder with the top strap, or use it as a crossbody when she’s chasing little ones or trying to juggle everything. FYI, you can also find some awesome deals right now at Kohl’s, Old Navy, and NY & Company. Be sure to try out Groupon Coupons as you shop online–it’s a great way to find promo codes and save some extra money!!! Just hop on over, search for the website where you want to shop, and see deals are available. Check out yesterday’s post about a Fresh Face for Spring here. Linking up with BYBMG and the ladies for Tuesday Talk and Garay Treasures for Bloggers Who Have Inspired Me.